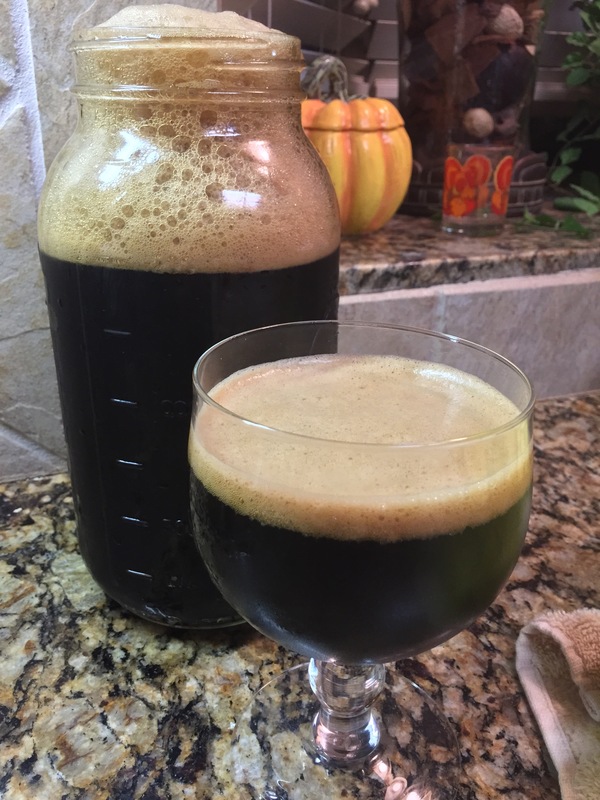 This is a crossover blog, phase 1 uses my Oak and Bourbon aged Imperial Stout. After much searching I found that home brewers also have experimented converting beer to vinegar. I drink my Imperial Stout’s slowly so I figured I could afford to experiment. 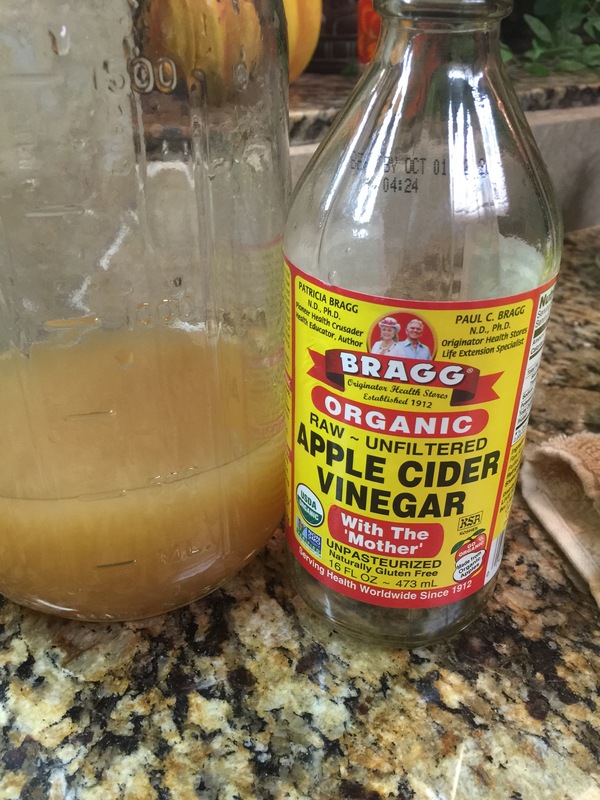 The start, a bottle of Bragg Organic Raw Unfiltered Apple Cider Vinegar – the key ingredient – this vinegar contains the “Mother”. The Mother is the source of the bacteria that converts the alcohol to vinegar. I am using a half gallon jar for phase 1. 16 ounces of vinegar and several bottles of my stout. Dang it, I had just a little too much beer so I had to sit back and enjoy it while waiting for Monday Night Football. The half gallon jar in the background and my sample in the foreground. This may produce a tasty and inky dark vinegar…. Fingers crossed. Next steps – shake it to aerate the mix, cover with cheesecloth, as it needs oxygen to complete the process, hide in a dark and 70-80 degree location for a couple of months and then sample. Side note; the Slide Ridge Honey Wine vinegar I bought is wonderful. I have some toasted bourbon soaked chunks sitting in the bottle to see if it becomes more than wonderful. I will give it a few months. From the garden today? A handful of green beans that went into today’s chicken vegetable soup. Houston has almost cooled off enough for soup. I have another 15+ bananas hanging, the sugar snap peas are climbing and some confused strawberries are blossoming and producing. 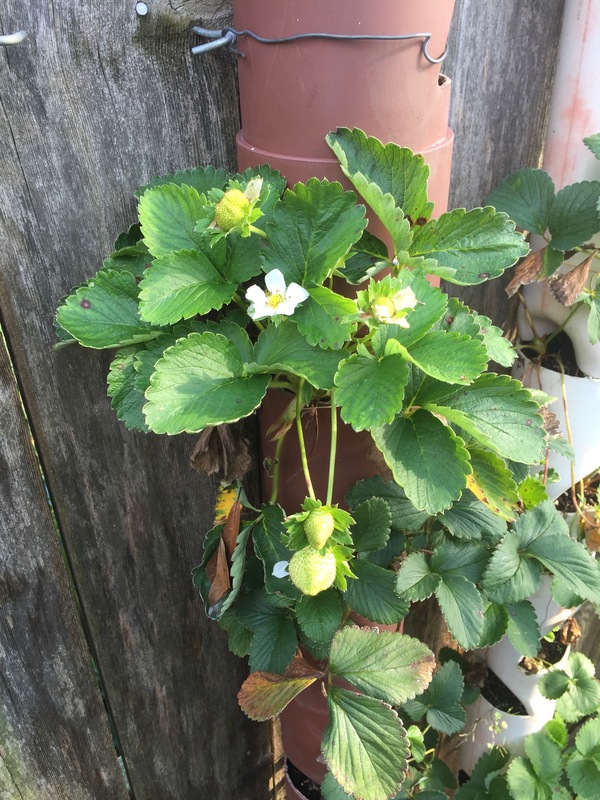 These are in one of my strawberry towers. They look like they will be yummy.